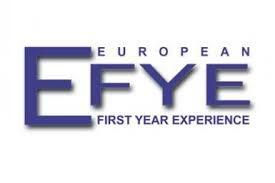 We are delighted to announce that Cork Institute of Technology has been formally selected and announced as the host institute for the international European First Year Experience Conference - EFYE 2019. This is quite an honour and a recognition of CIT’s commitment to enhancing the First Year Experience and our ongoing and real reputation for student engagement across the student lifecycle since CIT’s inception. The selection of CIT to host EFYE2019 was based on a proposal made to the EFYE committee by AnSEO – The Student Engagement Office on behalf of CIT, following an invitation to bid by committee members on hearing about our student engagement work at EFYE2017 in Birmingham City University. EFYE2018 was hosted in Utrecht, Netherlands where there were over 315 delegates from higher education institutions and policy makers across 22 countries. We expect to attract similar numbers and as diverse a range of nationalities to EFYE2019 at CIT next June and will be looking to attract a significant national audience also. CIT presented both posters and show/tells at EFYE2018 which received quite a bit of attention and positive comment with international colleagues. Our academic colleagues, Collette Nolan and Bill O’Flynn from CIT CCAD and Anne Rogers and Deirdre Ryan from Department of Architecture, presented show/tells about some of the work being done collaboratively with AnSEO and TLU through our Transitions to CIT and TLU Development Fund initiatives. The AnSEO team presented posters on; Good Start - Student Induction Programme, sparq – student partnership in quality - at CIT and Academic Success Coaching. We look forward to sharing many more CIT student engagement collaborations at EFYE2019. A particular word of thanks to our President, Dr Barry O’Connor, for his support, time and advice as we prepared the bid proposal, Registrar, Dr Áine Ní Shé and Dean of Academic Quality, Dr Stephen Cassidy for supporting the bid and for their ongoing commitment to enhancing student engagement, teaching and learning at CIT for students and colleagues alike. We also acknowledge the support and advice of Cork Conventions Bureau and Fáilte Ireland. To keep you posted on developments as planning and preparations get under way for EFYE2019 follow #efye2019 on Twitter. Rísam Úile, let us all achieve.